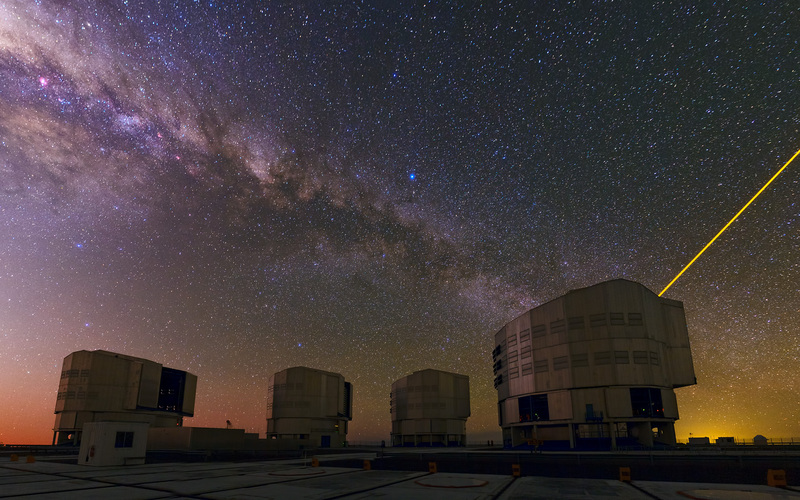 ESO’s Paranal Observatory is one of the best places on Earth to take in the night sky. 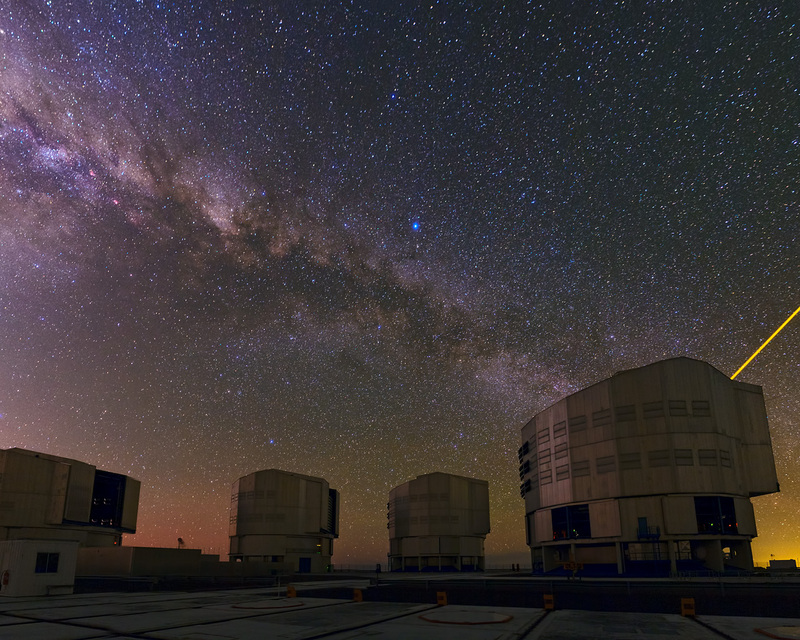 This panorama of ESO’s Very Large Telescope (VLT) atop the platform of Chile’s Cerro Paranal was taken by Babak Tafreshi, one of the ESO Photo Ambassadors. A mix of colours sweeps across the sky in this image. From the fiery red sunset up to the dusty purple band of the Milky Way. Although the VLT site is one of the best places on Earth for astronomy, the telescope must still overcome the natural distortions caused by our atmosphere. This is done through a process known as adaptive optics. 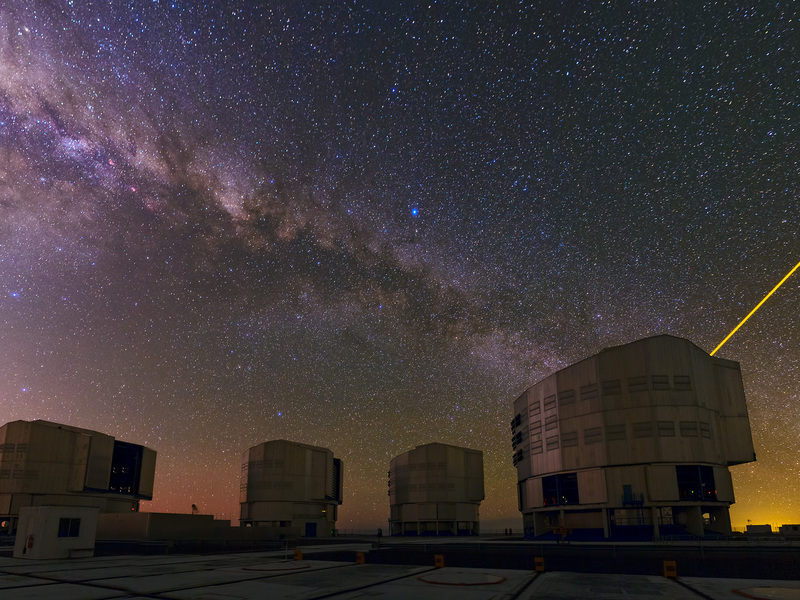 Astronomers can make use of an artificial star by shining a powerful laser — seen here projected from the telescope on the far right — to correct for the blurring caused by the atmosphere. The VLT, as a flagship facility for European astronomy, has opened up a new golden age of discovery in astronomy by making use of the most state-of-the art technologies.